- PhD in Sustainable Chemistry by University of Aveiro, 2019. - Master in Chemical Engineering by the Polytechnic Institute of Bragança, 2008. - Degree in Chemical Engineering by the Polytechnic Institute of Bragança, 2006. - Baccalaureate in Chemical Engineering by the Polytechnic Institute of Bragança, 2004. Project title: "DEVELOPMENT OF NOVEL BIOBASED, BIODEGRADABLE AND BIOCOMPATIBLE AROMATIC-ALIPHATIC COPOLYESTERS BASED ON 2,5-FURANDICARBOXYLIC ACID" - under supervision of Doctor Armando Silvestre (University of Aveiro - CICECO) and Doctor Andreia F. Sousa (University of Aveiro - CICECO and University of Coimbra - CEMUC). Project title: "Greenpec - Desenvolvimento de plasticizantes primários de origem vegetal para termoplásticos" - under supervision of Doctor Artur Ferreira (University of Aveiro - CICECO and ESTGA) and Doctor Armando Silvestre (University of Aveiro - CICECO). biomateriais e compostos” - under supervision of Doctor Armando Silvestre (University of Aveiro - CICECO). 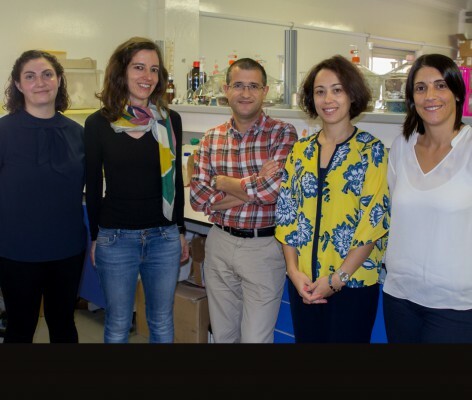 Project title: “Development of new polyesters derived from 2,5-furandicarboxylic acid” - under supervision of Doctor Armando Silvestre (University of Aveiro - CICECO). Project title: “Polyurethane foams and thermoplastic composites from oxypropylated olive-stones” - under supervision of Doctor Filomena Barreiro (Polytechnic Institute of Bragança- LSRE) and Doctor Alessandro Gandini (University of Aveiro - CICECO). Technician of Engineering Grade I for one year at the C.I.N. (Corporação Industrial do Norte) in Maia, in the area of research and development of paints, 2008. Traineeship of nine months at the C.I.N. (Corporação Industrial do Norte) in Maia, with the project title: “Estudo da incorporação de estearatos em tintas de forma a aumentar a sua impermeabilidade à água”, under supervision of Doctor José Nogueira (C.I.N.) 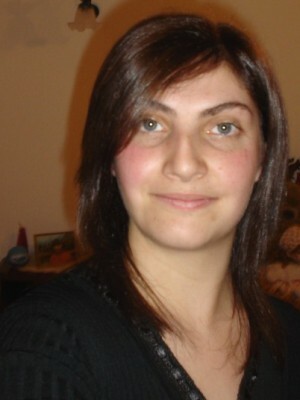 and Engineer Filomena Braga (C.I.N. ), 2007. The main research interests are focus on polymers from renewable resources (synthesis and characterization) and the development of new sustainable composite materials from natural resources. -Marina Matos, Andreia F. Sousa, Patrícia V. Mendonça, Armando J. D. Silvestre. 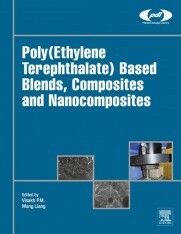 "Co-Polymers based on Poly(1,4-butylene 2,5-furandicarboxylate) and Poly(propylene oxide) with Tuneable Thermal Properties: Synthesis and Characterization", Materials 2019, 12, 328 (1-12). -Marina Matos, Andreia F. Sousa, Nuno H. C. S. Silva, Carmen S. R. Freire, Márcia Andrade, Adélio Mendes, Armando J. D. Silvestre. “Furanoate-Based Nanocomposites: A Case Study Using Poly(Butylene 2,5-Furanoate) and Poly(Butylene 2,5-Furanoate)-co-(Butylene Diglycolate) and Bacterial Cellulose”, Polymers 2018, 10, 810. -Marina Matos, Andreia F. Sousa, Armando J. D. Silvestre. “Improving the thermal properties of poly(2,5-furandicarboxylate)s using cyclohexylene moieties: A Comparative Study”, Macromolecular Chemistry and Physics 2016, 218, 1600492 (1-10). - Andreia F. Sousa, Carla Vilela, Ana C. Fonseca, Marina Matos, Carmen S. R. Freire, Gert-Jan M. Gruter, Jorge F. J. Coelho, Armando J. D. Silvestre. “Biobased polyesters and other polymers from 2,5-furandicarboxylic acid: A tribute to furan excellency”, Polymer Chemistry 2015, 6, 5961-5983. -Marina Matos, Andreia F. Sousa, Ana C. Fonseca, Carmen S. R. Freire, Jorge F. J. Coelho, Armando J. D. Silvestre. "A New Generation of Furanic Copolyesters with Enhanced Degradability: Poly(ethylene 2,5-furandicarboxylate)-co-poly(lactic acid) Copolyesters", Macromolecular Chemistry and Physics 2014, 215, 2175-2184. -Andreia F. Sousa, Marina Matos, Ricardo J.B. Pinto,Carmen S.R. Freire,Armando J.D. Silvestre. “One-pot synthesis of biofoams from castor oil and cellulose microfibers toward energy absorption impact materials”, Cellulose 2014, 21, 1723-1733. - Andreia F Sousa, Marina Matos, Armando J D Silvestre, Jorge F J Coelho, "New copolyesters derived from terephthalic and 2,5-furandicarboxylic acids: A step forward in the development of biobased polyesters”, Polymer 2013, 54, 513-519. - Marina Matos, M. Filomena Barreiro, Alessandro Gandini, “Olive stone as a renewable source of Biopolyols”, Industrial Crops and Products 2010, 32, 7-12. - Matos, M., M., Barreiro, M.F., Gandini, A., “Olive Stone as a Renewable Source of Biopolyols”, 2º Encontro de Jovens Químicos Portugueses - 2 PYCheM, Aveiro, Portugal, 23th April, 2010. - Matos, M., M., Barreiro, M.F., Gandini, A., “Olive Stone as a Renewable Source of Biopolyols”, 2nd International Conference on Biodegradable Polymers and Sustainable composites – BIOPOL 2009”, Alicante, Spain, 30 September - 2October, 2009. - Marina Matos, Andreia Sousa, Armando Silvestre, “Poly(1,4-cyclohexylene 2,5-furandicarboxylate): using 1,4-cyclohexanediol to enhance the thermal properties of FDCA-based polyesters”, Materiais 2017, Aveiro, Portugal, 9-12th April, 2017. - Marina Matos, Andreia Sousa, Armando Silvestre, “Development of new renewable and biodegradable poly(butylene furandicarboxylate-co-butylene diglycolate) copolyesters”, ENERGY – Trends and Future Challenges, Jornadas CICECO, Aveiro, Portugal, 8-9th June, 2016. - Andreia F Sousa, Marina Matos, Carmen S. R. Freire, Jorge F. J. Coelho, Armando J. D. “A new generation of (bio)degradable furanic polyesters”, Fourth International Symposium Frontiers in Polymer Science, Riva del Garda, Italy, 20-22 th May, 2015. - M. Matos, N. Gama, R. Silva, A. Barros-Timmons, A. Silvestre, A. Ferreira, “Oligomerization of Glycerol Through Basic Homogeneous and Heterogeneous Catalysts”, 12th International Chemical and Biological Engineering Conference - CHEMPOR, Porto, Portugal, September 10-12, 2014. - M. Marina, S. Andreia, F. Carmen, S. Armando, C. Jorge, “New Biobased copolyesters derived from terephthalic and 2,5-furandicarboxylic acids”,European Polymer Congress - EPF 2013, Pisa, Italy, 16-21th June, 2013. - AF Sousa, M Matos, CSR Freire AJD Silvestre, JFJ Coelho, “From PET to renewable-based PEF: Synthesis and characterisation of PET-ran-PEF copolymers”, Green Chemistry Gordon Research Conference, Lucca-Barga, Italy, July 21-22, 2012. -Barbosa, M., Matos, M., Barreiro, M.F., Gandini, A., “New polyurethanes from oxypropylated olive stone”, 25th International Symposium on Polymer Analysis and Characterization – ISPAC 2012, Rolduc Abbey, The Netherlands, 11-13th June, 2012. - Matos, M., Barbosa, M., Barreiro, M.F., Gandini, A., “Search for novel biobased material within the OLIVPOL Project”, International Conference on Biobased Polymers and Composites - BiPoCo 2012, Siófok, Hungary, 27-31th May, 2012. - AF Sousa, M Matos, CSR Freire AJD Silvestre, JFJ Coelho, “From PET to renewable-based PEF: Synthesis and characterisation of PET-ran-PEF copolymers”, X CICECO Meeting, Aveiro, Portugal, 2nd and 3rd May, 2012. - Matos, M., M., Barreiro, M.F., Gandini, A., “FROM OXYPROPYLATED OLIVE STONE TOWARDS Novel POLYMERIC MATERIALS”, “3RD International Conference on Biodegradable and Biobased Polymers- BIOPOL”, Strasbourg, France, 29-31th August, 2011. - Matos, M., M., Barreiro, M.F., Gandini, A., “The Oxypropylation of Olive Stone and the Use of the Ensuing Polyols for the Synthesis of Novel Polyesters and Polyurethanes Based on Renewable Resources”, European Polymer Congress- EPF, Granada, Spain, june 26- July 1, 2011. - Matos, M., Barreiro, M.F., Gandini, A., “Olive Stone as a Renewable Source of Biopolyols”, VII CICECO Meeting, Aveiro, Portugal, 28-29th January, 2010. The Plastics Of The Future? 2015, POLYMER CHEMISTRY, 6, 33, 5961-5983. 2015, POLYMER CHEMISTRY, 6, 33, 6096-6096. 2014, CELLULOSE, 21, 3, 1723-1733. 2010, INDUSTRIAL CROPS AND PRODUCTS, 32, 1, 7-12.